HomehistoryA Quartet For A Razor! A Quartet For A Razor! 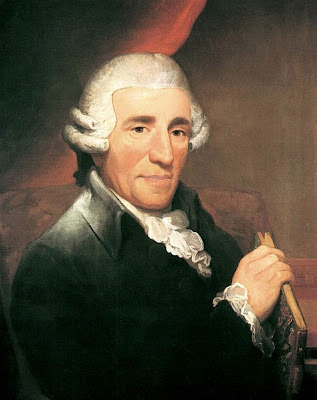 Haydn reached London in the opening days of 1791. He passed his first night at the house of Bland, the music-publisher, at 45 High Holborn, which now, rebuilt, forms part of the First Avenue Hotel. Bland, it should have been mentioned before, had been sent over to Vienna by Salomon to coax Haydn into an engagement in 1787. When he was admitted on that occasion to Haydn’s room, he found the composer in the act of shaving, complaining the while of the bluntness of his razor. “I would give my best quartet for a good razor,” he exclaimed testily. The hint was enough for Bland, who immediately hurried off to his lodgings and fetched a more serviceable tool. Haydn was as good as his word: he presented Bland with his latest quartet, and the work is still familiarly known as the “Rasirmesser” (razor) Quartet.